China's top political advisor Jia Qinglin Thursday called on Shanghai World Expo organizers to be determined to stage a successful, brilliant and memorable event. 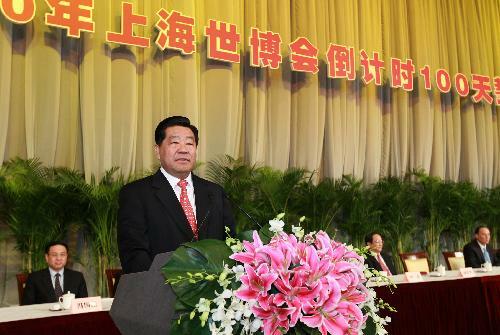 Jia, chairman of the National Committee of the Chinese People's Political Consultative Conference, made the remarks at a ceremony hosted here to mark the 100-day countdown for the six-month-long mega event. The ceremony was attended by more than 6,000 people including members from the Expo organizing committee, volunteers, security staff, participating enterprises and sponsors. Jia said the Expo would witness the remarkable improvement of China's economic strength, scientific and technological strength and international status. The expo would boost economic and cultural exchanges between China and the world, and be conducive to the recovery of world economy, said Jia. Jia called for stepped-up efforts to ensure prompt completion of all venues, seamless security work and quality services. 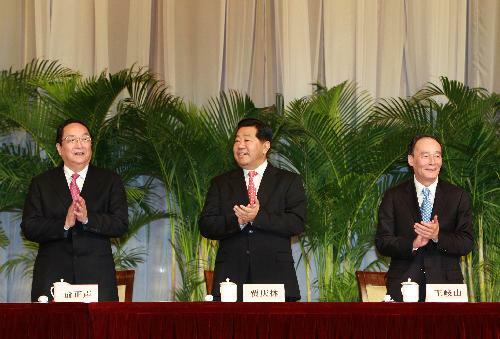 In a separate meeting, Chinese Vice Premier Wang Qishan called for vigilance in the preparations for the Expo. "Organizers should detect problems and deal with them in a timely manner." Wang is also head of Shanghai World Expo Organizing Committee. The 2010 Shanghai World Expo is scheduled for May 1 to Oct. 31. To date, 192 countries and 50 international organizations have confirmed their participation in the global feast that presents latest advances of architecture and engineering worldwide.